Clumps of bulblets are produced at the tops of long stalks. 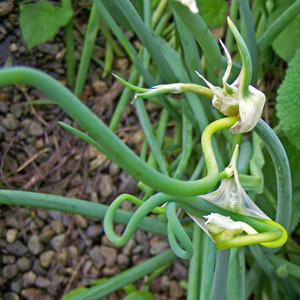 These root themselves when the stalks fall, and so the offspring "walk" away from their parent plant. These are very ornamental, and children find them fun to grow. Good culinary as well.